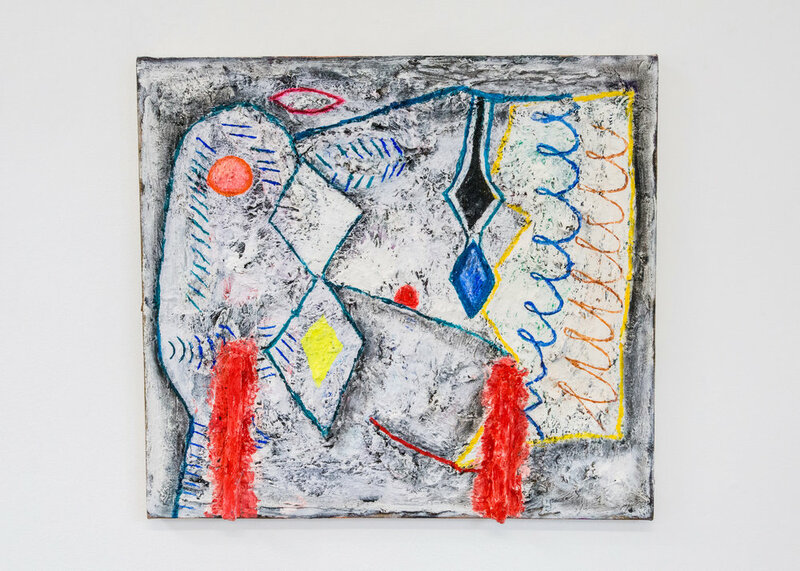 Interface is pleased to present, Setting forth by signs, a group exhibition featuring sculptures and paintings by Yevgeniya Baras, Sahar Khoury, Lauren McKeon, and Mindy Rose Schwartz. Collectively, the works in this exhibition exude an occult-like energy. They evoke slippery memories, embedded feelings and knowledge - ghosts or signifiers imprinted on the subconscious. 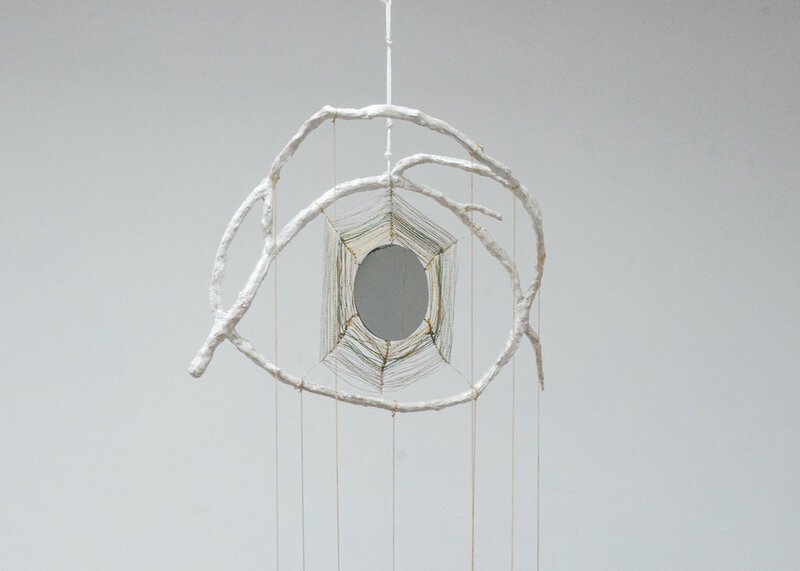 To varying degrees, the artists all incorporate unorthodox materials such as papier-mâché, sticks, yarn, reflective tape and string. Rough, sometimes even mangled surfaces, convey a sense of excavation and invite an unearthing of meaning. While the meaning to be unearthed isn’t entirely clear, there's a sense that the signs are pointing us towards something deeper.